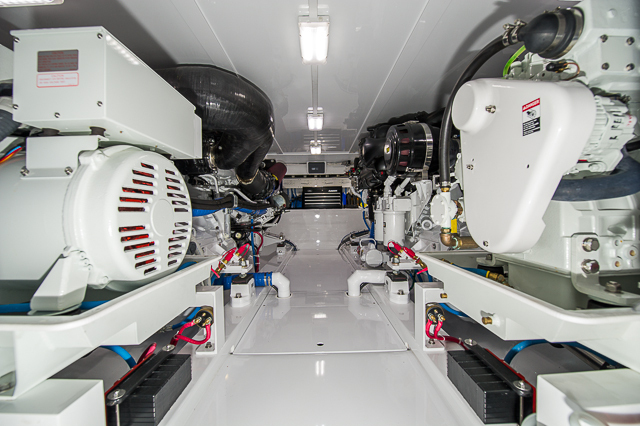 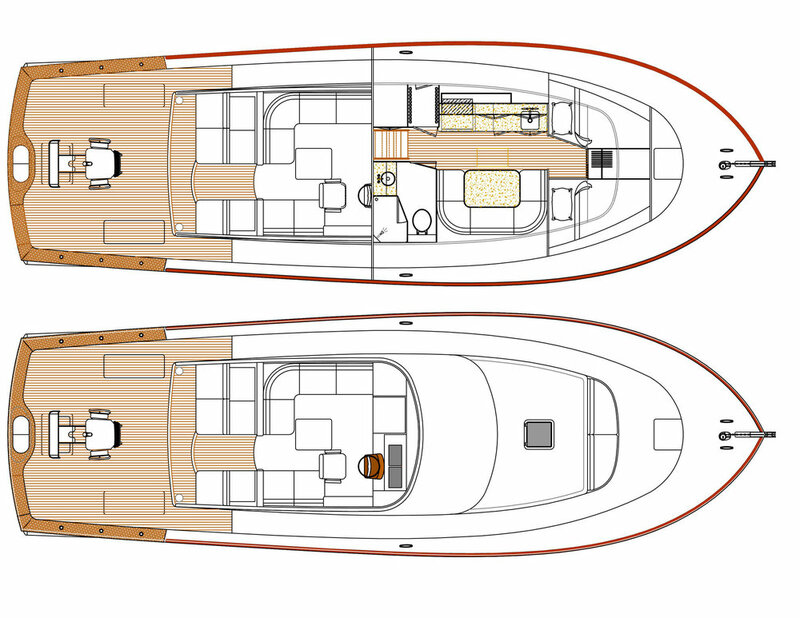 The boat "Perfection" features twin 725 hp Volvo D11 IPS drives & draws just over 4ft. 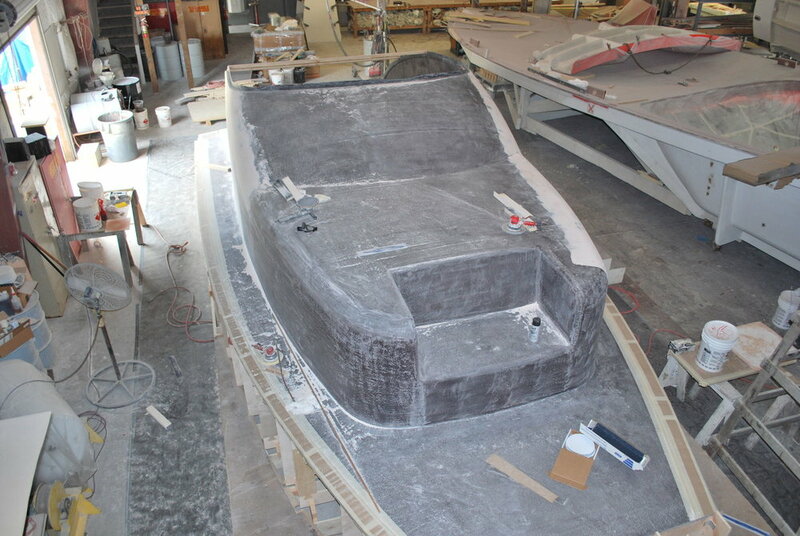 The boat can also be built with shallow propellertunnels bringing the draft to under 4ft. 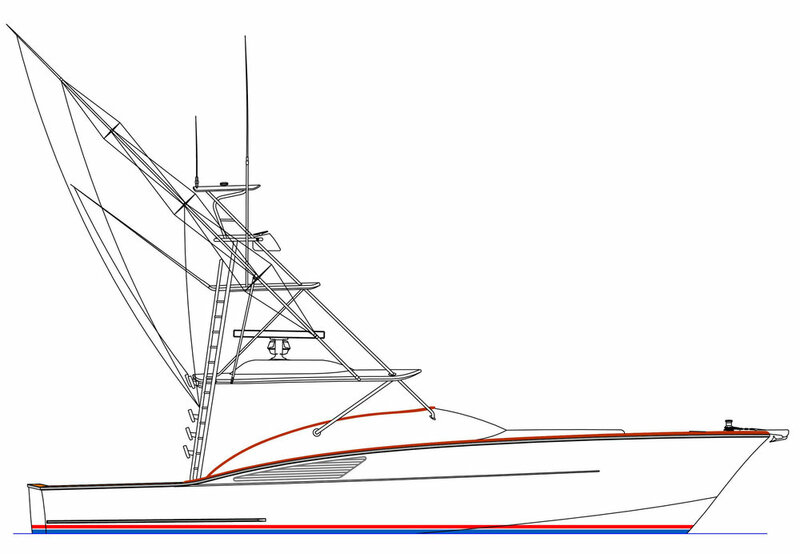 The 49' Walk Around is a fully custom project, please contact us directly for options and details.